For a small business, customers are more than just a list of names connected to previous sales. Your customers are people who like your products and, if asked politely at the right times, would probably buy from you again. Loyal customers are extremely valuable because they will come back to you without prompting and bring you business and referrals again and again. They are each a valued contributor to your company growth, and their information should be treated with the appropriate amount of care. How you keep your customer notes will affect how you and your company will think of and deal with the customers themselves. The longer you retain the patronage of each customer, the more details there will be in their file. If your customer files are not unified, these details will become scattered between the departments and the comprehensive data on that customer will go mostly unused. Where does this data come from? It stems from every interaction your customer has with your company. Your finances department cares about the customer's billing information, while your shipping team cares about their current physical address. Your sales team will have notes on their preferences, and your tech support team can collect data about the issues they've brought in and how solutions were found. Meanwhile, your marketing team will have all the information they need to succesfully personalize and target your audince. When your client data is fully integrated, you can enter every encounter with each customer fully armed and ready to offer them exceptional personalized service. Growing your prospects is critical. They represent your company's potential for future growth. Each prospect that turns into a customer is another step toward greater success. 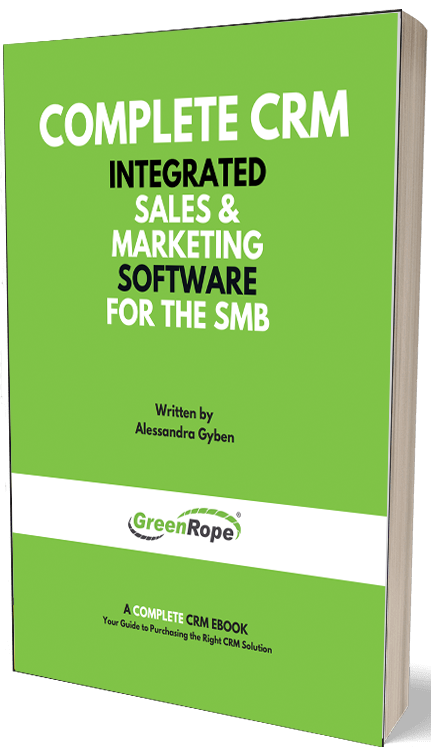 Whether the prospect details came from scouts or referrals, you want every piece of information you can find on that contact to be integrated into the same Customer Relations Software, or CRM. By working with unified information, access to a complete CRM database can give your pitch team the optimal chance to successfully appeal to each prospect as they are approached, convert the maximum percentage into customers, and improve customer loyalty through greater nurturing and retention strategies. As relevant data goes, there is very little difference between Clients and Prospects. You will want a collection of pertinent business details as well as a certain complexity of personal notes on each one. When a prospect is successfully pitched to and converted, they immediately enter the realm of client and their data must be re-labeled. If your client and prospect details are already integrated into the same CRM using the same data points and analysis, this transition is a snap. Otherwise, you may be in for several minutes of tedious file transfers or even cross-database copy-pasting. There's no replacement for the real, well-organized customer care a unified CRM can bring and your clients will be able to tell the difference. Especially for highly personal industries, little touches like remembering birthdays and favorite beverages can have a significant effect in creating long-term appreciation and loyalty in your customers. With such a well-informed customer and prospect approach, you are effectively inviting your prospects into an exclusive club and giving them a taste of what membership will be like. To hone your personalized customer technique, integrated data will keep everything you need in one tidy digital location. When your company treats client data like a highly valued asset, it will show in the care and consideration your team uses when working with the customers themselves. Client and Prospect detail integration through a single CRM offers more than simple data efficiency, it will improve customer service quality company-wide and your clients will appreciate it. For more information on going above and beyond in customer care and data management with expert use of your CRM, contact us today.